At Neuro Connection Foundation the unique care we provide centres around the person as a whole. Through the Conductive Education philosophy, we conduct classes in groups but also cater to those who may find more benefit through individual sessions. The full programme is based on re-building new neural pathways and is centred on the neuroplasticity theory of rewiring the brain - creating new neural pathways to accomplish a needed function, after injury or nerve degeneration. 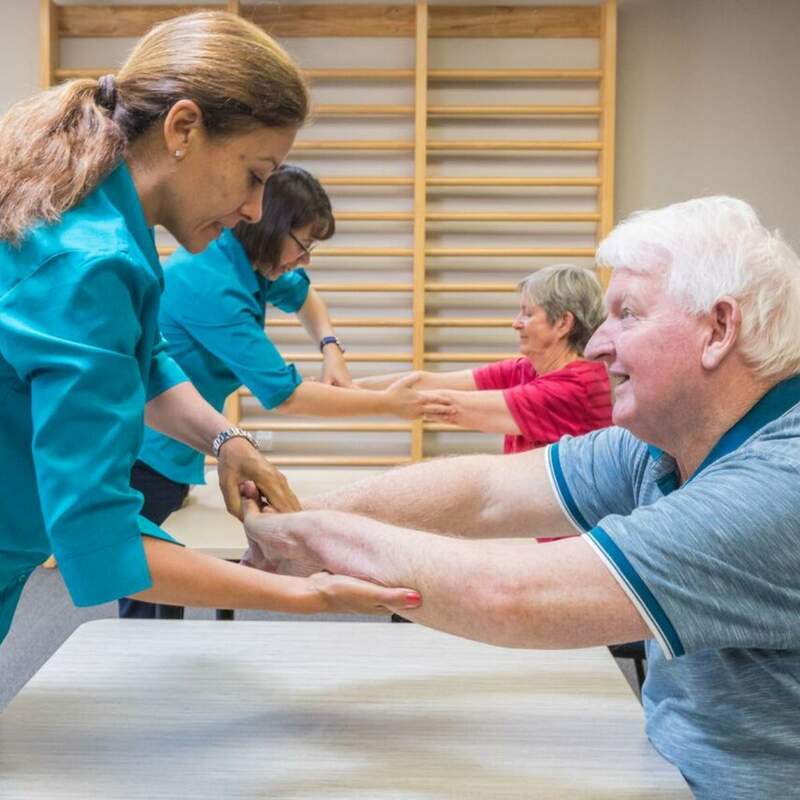 CE rehabilitation focuses on teaching skills that make everyday tasks easier to perform, empowering your life and giving you control over your condition. Professionally trained rehabilitation specialists set your individual SMART goals and track these every 6-12 months. From basic task series around common everyday movements, the expert team will build or break down tasks as appropriate for the group or the individual, to accomplish a needed function. With a unique focus on group sessions, you will enjoy the social benefits of the programme through comradery, companionship, understanding and sharing your challenges. The programme provides dedicated support from staff and fellow clients and fosters a belief that we can all succeed, despite the challenges we face.